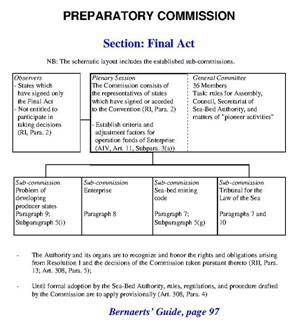 The "Final Act" document is self-explanatory; it records the organization and operation of the Conference, beginning with the UN General Assembly decision of December 17, 1970, continuing through the convening of the Third UN Conference on the Law of the Sea in 1973, and finishing with the signing of the Final Act by 140 representatives of states and other Conference participants in Montego Bay on December 10, 1982. (This must not be confused with the signing of the Convention itself in accordance with Article 305, an act performed by 117 states on the same day.) In general, the signing of the Final Act is purely formal and does not create any treaty obligations. The Resolutions I-IV contained in Annex I to the Final Act, however, are an exception, as the Conference considered the resolutions to be an integral whole with the Convention, especially in regard to the "Preparatory Commission" and "Pioneer Activities" discussed below. (d) Making preparations for the Tribunal for the Law of the Sea. (e) Preparations for the Assembly, Council, Commission, and Secretariat of the Sea-Bed Authority and for matters concerning pioneer activities are made by the plenary session or its general committee. As the Preparatory Commission is to follow the rules and procedure of the Third UN Conference 1973-1982, it attains the importance - within the scope of its task - of a �continuous mini-conference�, although with the significant distinction that states which have not signed the Convention have the status only of observers. 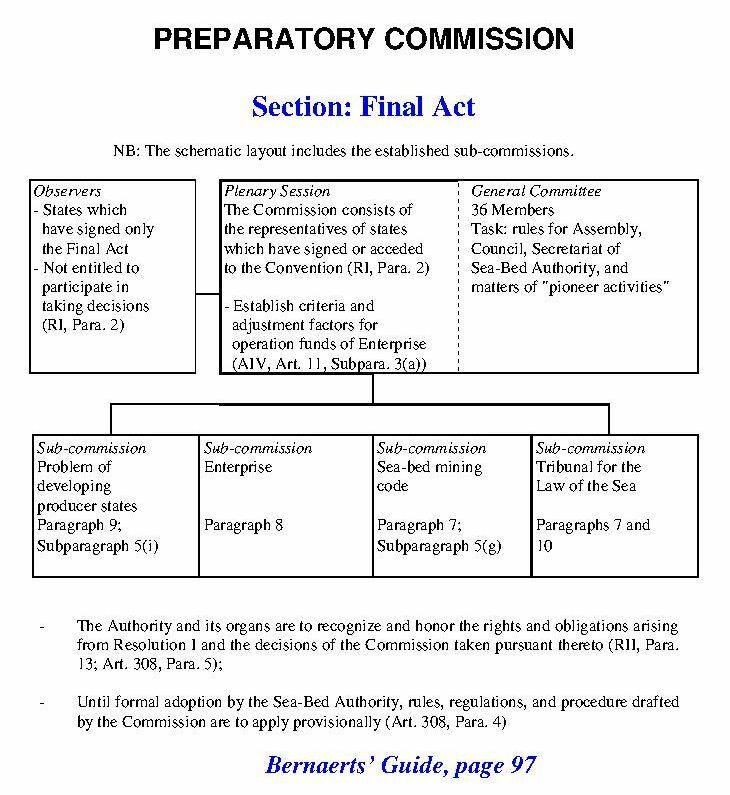 The Commission is to remain in existence until the conclusion of the first session of the Assembly of the Sea-Bed Authority, at which time the Preparatory Commission is to present a final report to the Assembly on all matters within its mandate. When the Convention enters into force, the rules, regulations, and procedures drafted by the Commission are to apply provisionally pending their formal adoption by the Authority. A separate report is to be prepared regarding the Tribunal for the Law of the Sea, containing recommendations for a meeting of the states parties for the nomination and election of the members of the Tribunal. The Commission's report could possibly include the re�commendation to choose another seat in place of Hamburg  for the Tribunal if the Federal Republic of Germany has at that point not yet become state party to the Convention. THE REGIME FOR �PIONEER ACTIVITIES"
The regime for "pioneer activities" was established to permit investments for activities in the Area and to ensure immediate commencement of mining activities upon entry into force of the Convention. It emerged from the requests of industrialized states for a safeguard for the considerable investments which had already been made by some companies and consortia, with the intention of giving these pioneers priority with respect to other - non-pioneer - investors for the recovery of investments as soon as possible after the conclusion of the 1973-1982 Conference. Other states, especially from among the developing countries, were keenly interested in preserving the main principles of the regime for the deep-sea Area. The pioneer regime is to remain in effect until the entry into force of the Convention, although the events of this interim period will continue to have an influence long after that point. 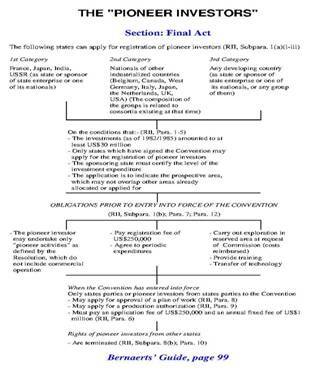 The resolution provides that companies, consortia, state enterprises, and the like which invested at least US$30 million before 1983 or, in particular cases, before 1985 may under certain conditions apply to the Preparatory Com�mission for registration as a "pioneer investor" and for registration of a "pioneer area" which may not exceed 150,000 square kilometers. The conditions for registration concern the status of the sponsoring state as a signatory to the Convention, a certification of the level of pioneer expenditures, and the assurance that claims of applicants do not overlap. Three years after allocation of a "pioneer area", 20% of the same reverts to the Area, an additional 10% within another two years, and an additional 20% later on. Once a pioneer investor has been registered, he may carry out pioneer activities, which include all preliminary measures for exploitation, but exclude commencement of commercial production, which may only take place when, after entry into force of the Convention, the Sea-Bed Authority has approved the plan of work and issued a production authorization. The Authority must give due regard to decisions made by the Preparatory Commission. Only pioneer investors from states which are parties to the Convention will be approved to begin operations in the Area. The "rights" of pioneer investors from other states will be terminated after a short time; however, this lapse of rights can be prevented if the pioneer investor changes its nationality and sponsorship to a state party to the Convention within a certain period of time. 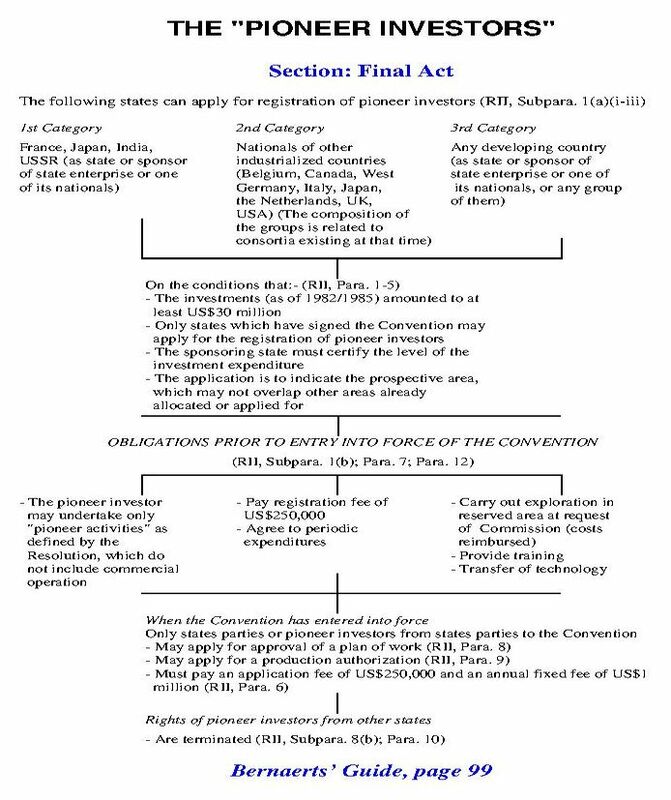 Prior to the commencement of commercial operations, the pioneer investor is required to pay a certain fee and, at the request of the Preparatory Commission, carry out exploration (costs to be reimbursed) in the reserved area, provide training, and perform Convention obligations related to the transfer of technology in order to ensure that the Enterprise is able to keep pace with states and other entities with respect to activities in the Area. Every state which has certified the level of pioneer expenditures is to ensure that the necessary operating funds for the Enterprise are made available when the Convention enters into force, an obligation to which all states parties will be subject to one degree or another on that future day. 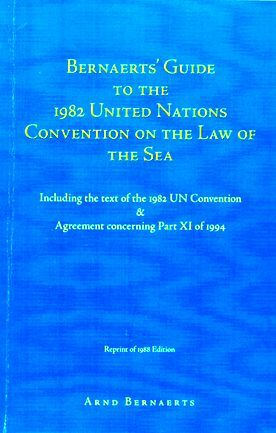 "Introduction to the Evolution of the New Convention on the Law of the Sea"